Hope y’all had (or are having) a fantastic Halloween weekend! 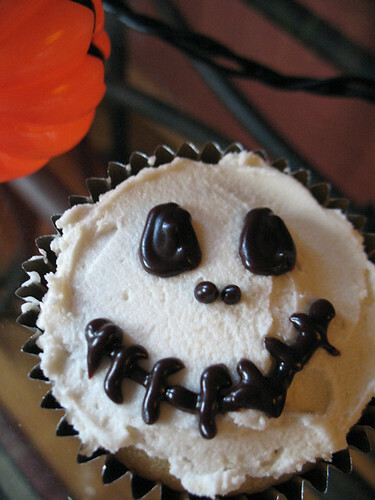 I’m tuckered out from the amazingness that was the American Gods gathering at the House on the Rock, but just looking at that cute ‘lil cupcake from Halloween ’09 makes me smile. See you all tomorrow for the start of Vegan MoFo IV! Hope you’re all as excited as I am! Now “I am the pumpkin king? !” You’re rocking the good movie quotes, girl!